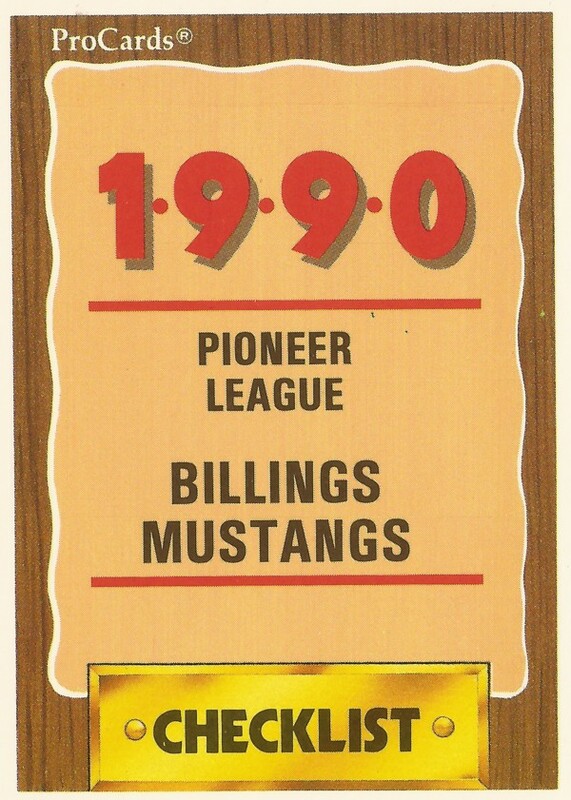 Features on each member of the 1990 Billings Mustangs, rookie league affiliate of the Cincinnati Reds. Click on the player's name to read more. Bobby Filotei turned his chance to play into a career as a scout. Victor Perez enjoyed the moment of his first pro at bat, after growing up the son of Tony Perez. Chris Vasquez took detour to college, then played 13 seasons as a pro. He never made the majors. Dave Wheeler went to this tryout camp and everything just clicked. 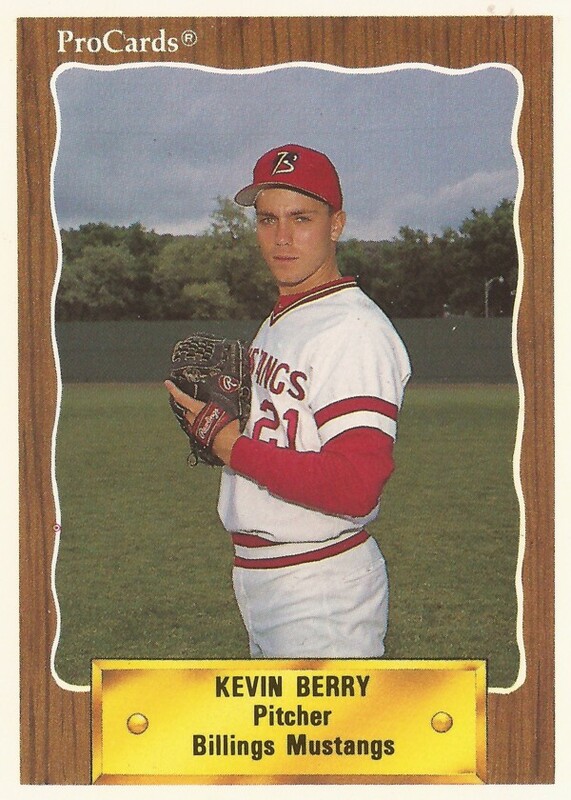 Kevin Berry took a new opportunity as coach, following two-season pro playing career. Eric Burroughs turned pro in baseball, after a successful high school football career. He played six seasons, but never made bigs. Sean Doty gave his single-A Reds steady pitching in one 1992 game. He wasn't steady enough for a long career. He never made bigs. Scott Duff played four seasons in minors, then fought a losing battle with drugs. He later chose suicide - by cop. Ryan Edwards started slow at Cedar Rapids in 1992, and he couldn't recover. He never made the bigs. Mike Ferry was ready to play out of college. He played six seasons as pro, but never made the bigs. Bobby Filotei had plenty to pump his fist about in 2011. He's the guy who signed David Freese. Brian Fry was ready for college. He then got drafted. His pro career lasted just two seasons. Jose Cardenal didn't blame KC Gillum, but it was a ball off Gillum's bat that smashed Cardenal's skull. Keith Gordon made the bigs for 3 games. He then played another decade, but never made it back. Managing was something Gerry Groninger always wanted to do. Did so for parts of five seasons. Roy Hammargren hit at a high enough level to turn pro, but not for a long career. Mack Jenkins did well enough correcting the Reds organization pitching direction to become assistant major league pitching coach. 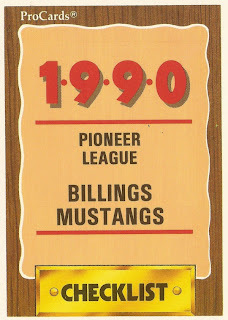 Kevin Jones helped seal a Billings win in 1990. Couldn't seal for himself a long career. Played just 3 seasons. Chris Keim could both hit and pitch in legion ball. He then turned pro as a pitcher, but played just two seasons. Larry Luebbers was happy to be back in the bigs in 1999. It was six years after his last trip. Greg Margheim did well enough to turn pro, but played just three seasons. He later became a high school athletic director. Brian Nichols played three seasons as a pro. He never got to play in the majors. Ernie Nieves played 11 seasons as a pro. He made AA, but never made it higher. Victor Perez' pro career was brief, just 24 games. His father Tony Perez' career was longer, making it to the Hall of Fame. Bobby Perna played well at single-A, and looked forward to the next step. He never made the majors. Elliott Quinones came through for Charleston in 1992. Played four pro seasons, never made bigs. As Kevin Riggs' career went on, he became more realistic about his chances of making bigs. Never made it. Scott Robinson pitched against major leaguers in an exhibition. It was the closest he'd get to the bigs in seven seasons as pro. Carl Stewart played six seasons as a pro, but he never saw time above AA. Kevin Tatar missed single-A All-Star game as he moved up to AA. In four seasons, he never made it higher, or to the bigs. Chris Vasquez knew he could play hard and never make the majors. He played hard for 13 seasons. He never made it. Dave Wheeler helped with a youth baseball clinic. He did so after his only season as a pro. Todd Wilson got away from home for college and his second year as a pro. He played at home his first pro year. He never made bigs.